Could Moore be compared to Marmite? His work is so huge, so enigmatic, so smooth, so in your face, that many find it too much. Others love just those features. It seems you either love it or hate it. That was the concensus when I did a quick verbal survey before a visit to the Moore at Hatfield open air exhibition that has attracted thousands of visitors this summer. Do you know how he made some of the work – Most didn’t but were interested to hear about Perry Green where you can join in free workshops for children, young people, adults and families. When I visited the exhibition I asked several visitors Is there any one piece you like best of all? My favourite answer was the child who said she loved Hill Arches because it was smooth and she liked lying on it, not something encouraged by the exhibition organisers, but inevitable I guess! A reclining Toltec–Maya figure was the original influence on Moore’s sculpture – Chac Mool stone statue at Chichen Itza site, Yucatan Peninsula, Mexico which you can see in his very early work. The Hatfield setting is big enough to take fifteen massive pieces. Every piece has at least one seat to sit and contemplate the work, just as Moore always wanted. The huge historic buildings at Hatfield are certainly big enough to contain the work rather than be overwhelmed. He was especially pleased with the siting of the Two-Piece Knife Edge next to the House of Lords, placed right next to a path and seats. He was once asked by his niece why his works had such simple titles and he replied: All art should have a certain mystery and should make demands on the spectator. Giving a sculpture or a drawing too explicit a title takes away part of that mystery so that the spectator moves on to the next object, making no effort to ponder the meaning of what he has just seen. Everyone thinks that he or she looks but they don’t really, you know. There is an excellent Wiki page about Moore that includes many well known pieces. One photograph shows the panorama created in the Ontario Museum. A visiting teacher from Vancouver said it was not possible to take photographs or touch the exhibits in Ontario and was delighted to be able to have the opportunity to get a real feel for Moore’s work at Hatfield and excited about visiting the Perry Green permanent exhibition. 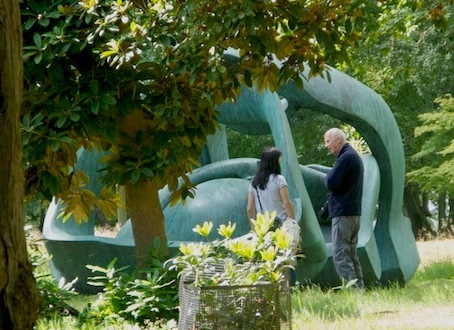 Although interest in Moore has diminished since his death, Perry Green, his home in Hertfordshire, has a popular outdoor exhibition with 25 outdoor works on display. When I visited everyone seemed to be loving the whole experience, I certainly smiled at some of the pieces. The children especially liked some hollow copper pieces that made satisfying noises and big enough to play hide and seek in. This hugely successful sculptor – he was paying million in tax in 1970s – left a legacy that continues to delight and intrigue. One suggestion I have is to make available for sale small reproductions – to scale – I would love a collection of miniatures to handle, admire and contemplate. Moore at Hatfield is open until 30 September – ideal for picnics and lots of room for children to run and play in! 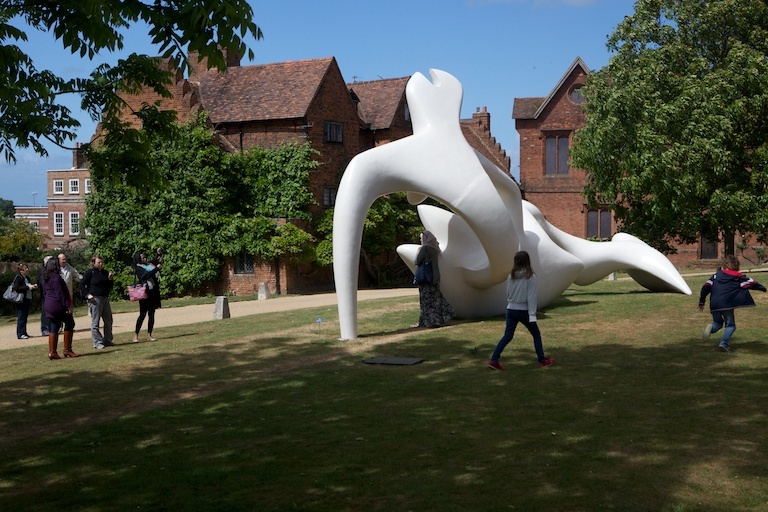 Hatfield House is just 20 miles from central London and only 16 miles from Moore’s former home at Perry Green, Herts – The Henry Moore Foundation. 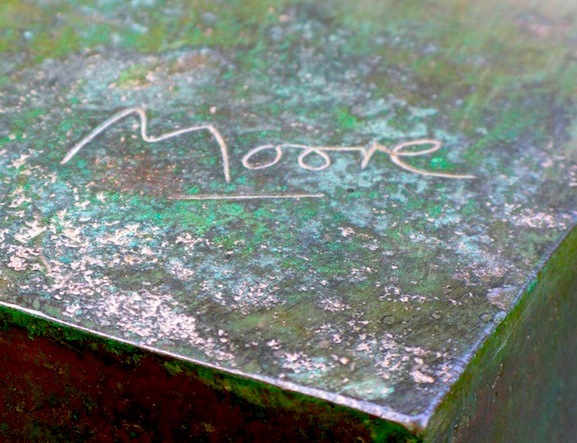 Moore at Perry Green visitor season runs from 1 April 2011 – 30 October 2011. 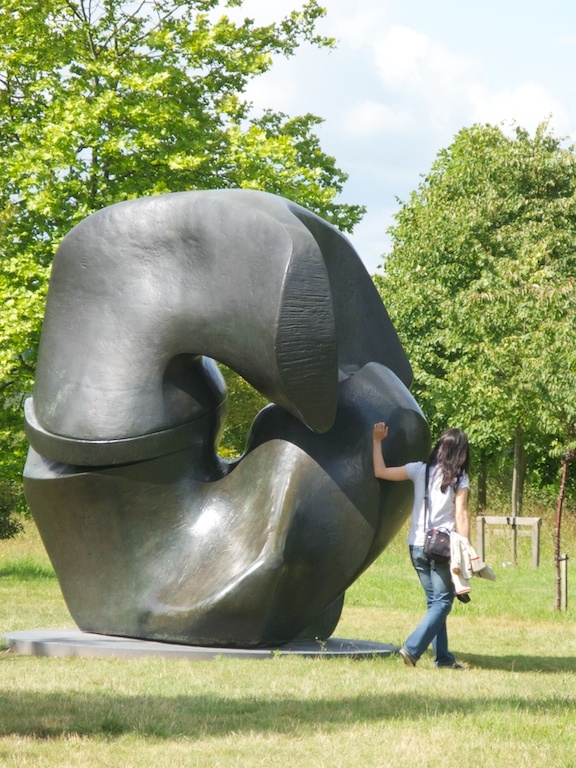 It has a newly-refurbished pub dining room, The Hoops Inn, and a new exhibition in its gallery, Henry Moore Plasters. 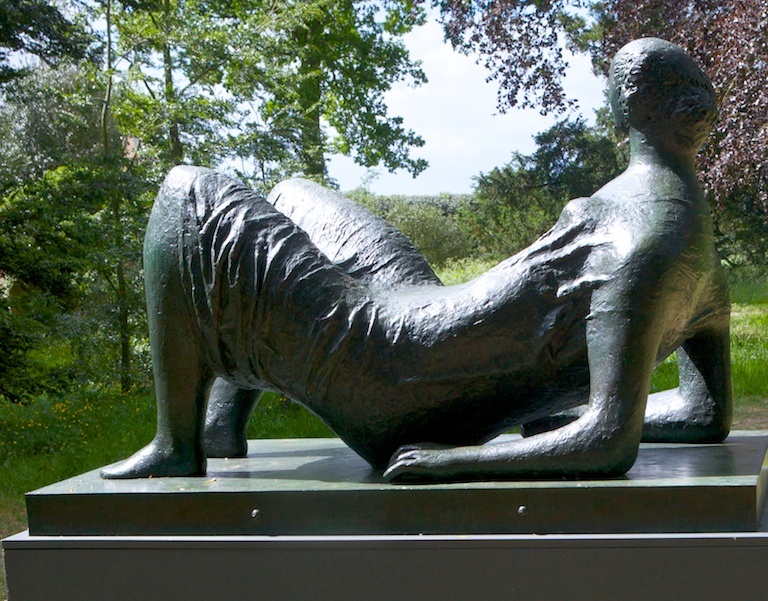 There are 70 acres of outdoor sculpture as well as the artist’s house and studios, carefully restored.